Is your content plan taking too long to put together, feel daunting and, at times, not even finished? When you’re spending time, energy and money on content, you want it to work for you. How do you do that? By putting content out there that is engaging. Think about your content for a moment. Are you planning it? Are you getting the engagement you’d like? Or, is it adhoc, inconsistent and off topic? To consistently get engaging content out there, you need to be planning what it is you’ll be posting each day, week or month. Keeping it meaningful and of value to your audience in order to spark conversation. Knowing what you’re posting, how often and which channels you’re posting to in advance, means you can block that time into your diary and avoid the absorbing distraction of those notification bells ringing all day long. Or outsource it and alleviate the strain it adds to your time. Use tools that can help you plan, design and schedule content so that you can leave it to trickle out all month long. When your audience do engage, then get involved and like, reply and/ or share their comments. Also, know you goal. What is your purpose for posting content? Usually, it’s to drive traffic to a website, blog or landing page. Know this and then you know if you’re getting the results you intended by measuring that traffic. Your content plan can be created simply and quickly with an effective result. Here are 5 steps to getting your engaging content plan crafted and shared with your audience. Need inspiration for what your daily topics could be? Have a quick Google search. There’s a lot of inspiration out there. Take a look at this list of 52 ideas from CoSchedule. Or if you’re more visual, head on over to Pinterest, there are pins galore to inspire you! 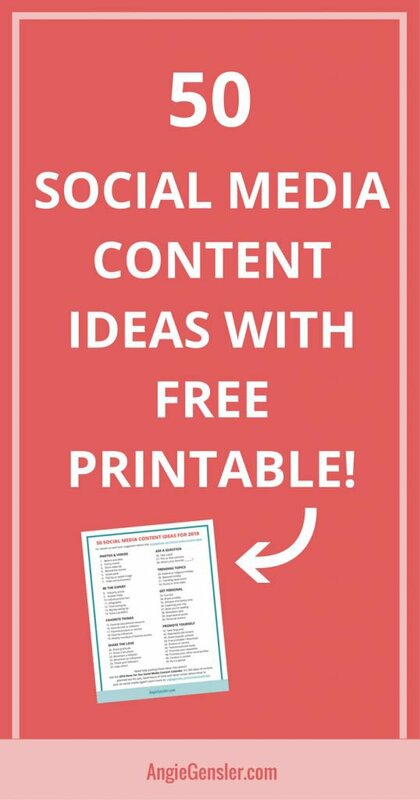 I found this one, a list of 50 social media content ideas. There are so many ideas you could choose from, but remember, that whilst planning, to keep in mind the type of posts that have drummed up engagement for you in the past. Do more of those and test others as well. Have a think about what would work for you and your audience. Yes, daily topics such as mentions, question and answers, fill in the blanks and so many more can be linked to weekly themes. Stick with it, it’ll make sense very soon, I promise. 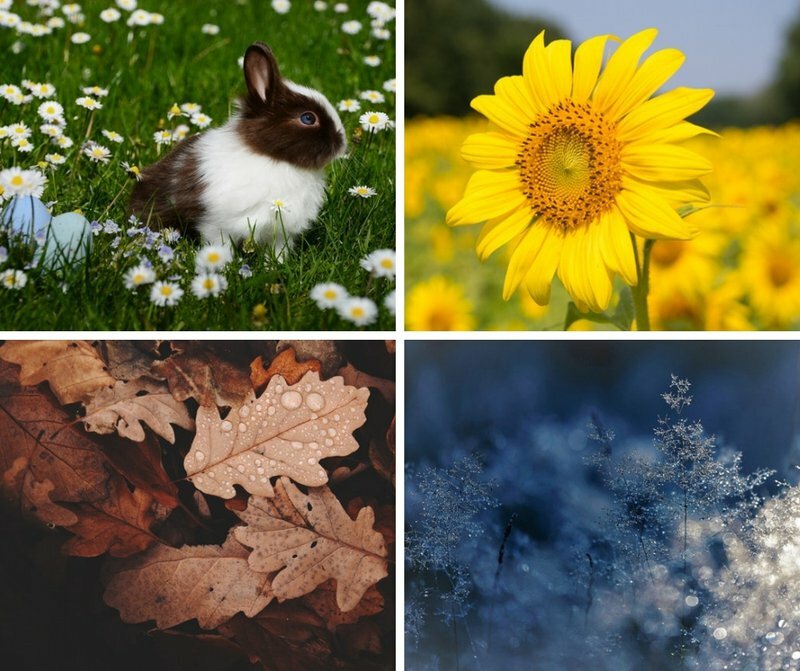 For the month ahead, decide on 4 or 5 week long themes or one to cover the entire month. Ideas could be as simple as the season, national holidays or events, or the services you offer. Remember, though, that they must link back to what it is that your business is offering or promoting at that time. Think of themes as conversation starters. Keep them on trend and timely. They will work a treat. This is the time to gather, design and draft your content. Firstly, decide which format you will be using for each post. Images, video, audio, text or a combination. Then, you will either create or curate your content. Content that you create is original. You take the photo, shoot the video or record the audio. That image, footage or audio is then used in your post. 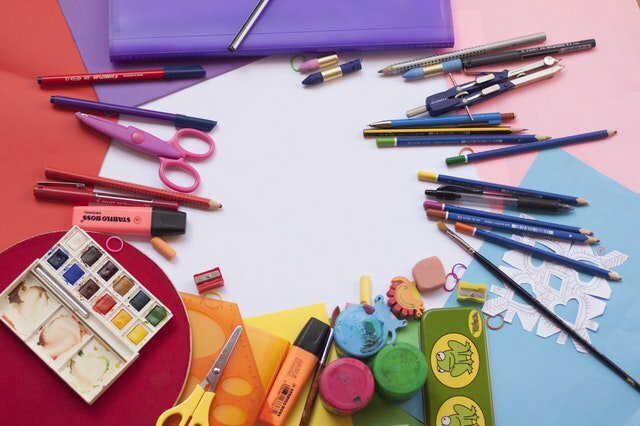 As you get creating, your list of must-use tools will begin to grow. Keep track of them in a Google doc, Evernote notebook or task planning tool, like Asana. It’s also a great time to test and experiment with different formats available to you. Get out of your comfort zone and try something different. Get creative and keep your audience interested with by varying the content in your plan. 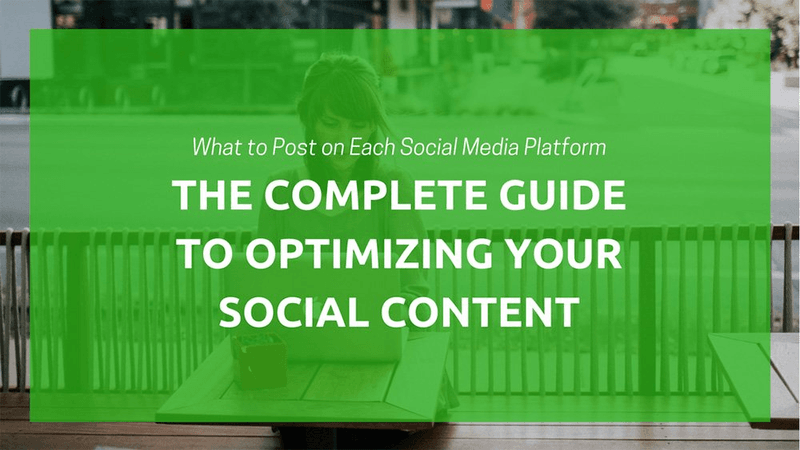 With your posts designed and ready to go, they need to be shared to your social media channels. You can do this manually or use a scheduling tool, the one I use for this job is Hootsuite. Using that tool, either schedule the posts one-by-one or upload a spreadsheet of all the posts in one hit. I’m all about using time saving tools! What about you? Remember, for each post add the publish date and time, select the channel to post to and make any other edits relevant to the channel your post will be published to, such as hashtags for Instagram and Twitter. Now wait for the engagement to roll in. But don’t disappear just yet! Those posts still need your attention. Next up is the most important bit. Being on social media is just that, it’s social. Don’t post and run! Monitor your pages and posts for comments and reactions. Make use of the conversation to drum up more engagement. Yes! Those conversations can be used as research. Ask questions and keep the conversation building. Make a note of anything that pops up that you can answer with another post, even mentioning the commenter. There is a better way to manage those conversations too! No need to login in to every platform and have lots of tabs open. Hootsuite can be setup with streams that monitor your channels all in one place. It is amazing! Learn more about social media monitoring over on the Hootsuite blog. If you do see any content that you want to share it can be scheduled right there in Hootsuite. Bonus! Here’s to the circle of life (for content, anyway!). Now, it’s your turn. You know the importance of planning and getting content out for your audience to engage. Take this guide and make your own content plan for the month, or months, ahead. There you have it, an engaging content plan that works for you. What do you find to be the most engaging topic for your social media posts?